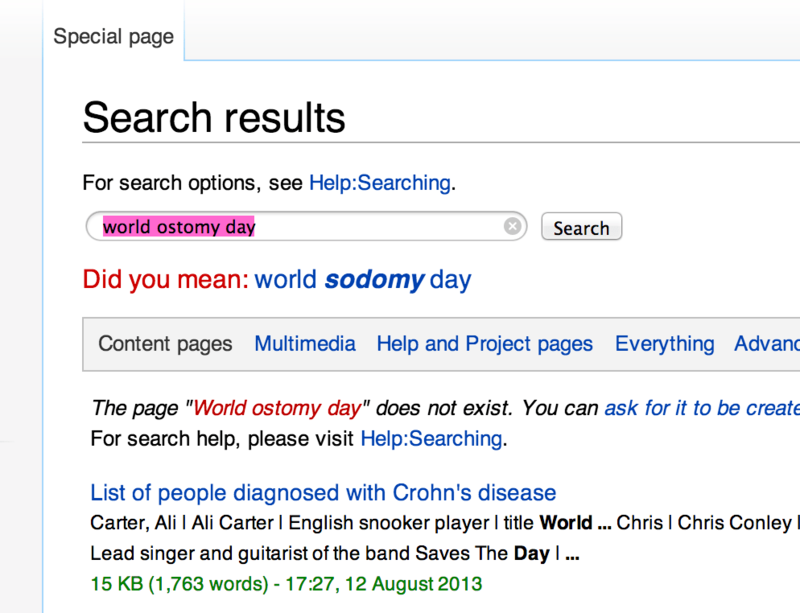 05 Oct Happy World Ostomy Day, and 4 Year Anniversary to Us! For those of you who don’t know, today, October 5th, is World Ostomy Day; A day for all of us to get off of our (unused, for some of us) asses, and destroy the negative stigma surrounding ostomy surgery! Whether it be getting outside and talking to strangers on the street, to tweeting about it, to posting pictures on Facebook, to simply thanking yourself for accepting what you have, today is the day to appreciate the ostomy, and teach others about it, as well. On another note, I want to congratulate you all for supporting Uncover Ostomy and helping us reach our 4 year anniversary! 1. We have gotten ostomies in the mainstream media spotlight (Global News), which, 4 years ago, was almost impossible! 2. We’ve also gotten recognized by major institutions, (NYU)! 3. And most importantly – I, personally, have noticed an extreme change in the attitudes of ostomates around the world! I am no longer getting Facebook messages telling me that we should be keeping our ostomies a secret (yes, I used to get those) but I am getting messages asking me for advice on how to tell as many people as possible. While these accomplishments are absolutely amazing, and proof that we are making a difference, they are just the beginning. In fact, there are still a number of things that need to change, that, even after four years, still require much more work. What are these, you might ask? I brought light to these things above, not to discourage, but to motivate us to keep pressing on. This is all proof that there is still much more work to be done. So friends – those with ostomies and those without – make today a day of awareness. Tell every one you know or don’t know, show every one you know or don’t know, and most importantly, be proud.